Are you going abroad? Or just want to communicate with your friends that don’t live in your state? Well, today we have the perfect solution for you. Here comes one of the best communication apps available on both Android and iPhone, called Aicall. This app lets you make affordable and inexpensive international calls at a click of a button! We chose to review this app because of its many amazing and useful features and of course, its smooth and easy-to-use interface. You don’t have to bother with buying new SIM card whenever you go somewhere, all you have to do is download Aicall and register for free. After you make your personal account you can do plenty of things, such as back up the app with your address book and enjoy crystal-clear phone calls. 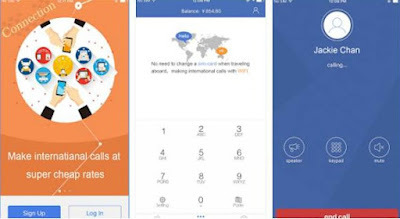 You can literally call anyone, anytime you want – from over 200 countries in a cheaper way! Besides, it does not collect any of your phone’s privacy and it is capable to verify your number. Also, when you first download Aicall you will get awesome 10-20 minutes call gift credit. Free of ads and hidden payments and fees, the app is free for download on the App Store and on Google Play. Click on the links below to read more info.